Cost: There is no charge for this event. Advance registration is still appreciated. An optional suggested donation of $20 may given during the event. $150 of Bonus Follow-up Resources: Students leave the seminar with a detailed study guide, a smart phone app that contains hundreds of articles, videos and FAQs, a personal growth plan that includes practical ways to apply relational wisdom in daily life, a full-scholarship to the online version of the course, which provides additional teaching and demonstration videos and practical exercises, plus a “Pay-It-Forward Scholarship” to the online course that may be given to a friend. 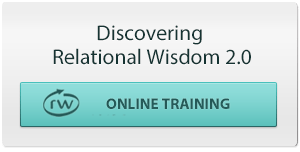 Overview: This foundational seminar provides an introduction to the basic theology, neurology, benefits and practical applications of the six skills of relational wisdom, which is a faith-based form of emotional intelligence (see detailed course description below). This CEU-approved training costs only $15 per person and includes dynamic teaching, demonstration videos, small group discussions and practical applications. Applications and Endorsements: RW training is being applied in a wide variety of settings, including churches, counseling centers, businesses, pregnancy centers, schools and universities, law enforcement, and on military bases (click here to see specific endorsements). Audience: This seminar is designed primarily for adults (18+) but mature teens (15+) typically enjoy the presentation and find practical applications to their lives. Parents are free to bring younger children to the seminar, especially if they’ve shown an ability to appreciate and sit through adult teaching. Infants are also welcome, assuming that parents will step out to a cry room if they become restless. Faith-Based: This training is open to all people regardless of their religious beliefs. The concepts are drawn from the Bible, which is specifically referred to during the training, along with neurological information related to emotions, habits and relationships (see Emotional Intelligence: A Cousin to RW). Although these concepts will be most familiar to those with a Christian background, people who do not share this perspective will still learn valuable relational skills they can apply to every area of their lives (see, e.g., RW in the Workplace). For Tickets and Contact Information, click “Read More” button.